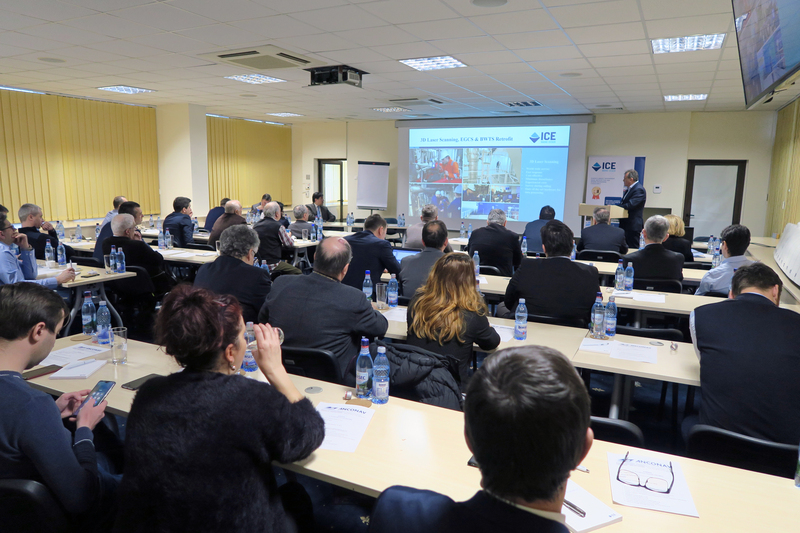 ICEPRONAV Engineering hosted last month the quarterly meeting of the Romanian Shipbuilders Association (ANCONAV). ICEPRONAV is one of the founding members of this organisation, which represents the Romanian shipbuilding industry as well as producers of ship’s equipment and accessories. Sorin Brazdis, Director of Operations of ICEPRONAV Engineering is shown briefing the participants on ICE’s project management approach to ongoing high-value ship design projects for a shipyard in Germany.